Boxplots are a measure of how well distributed is the data. 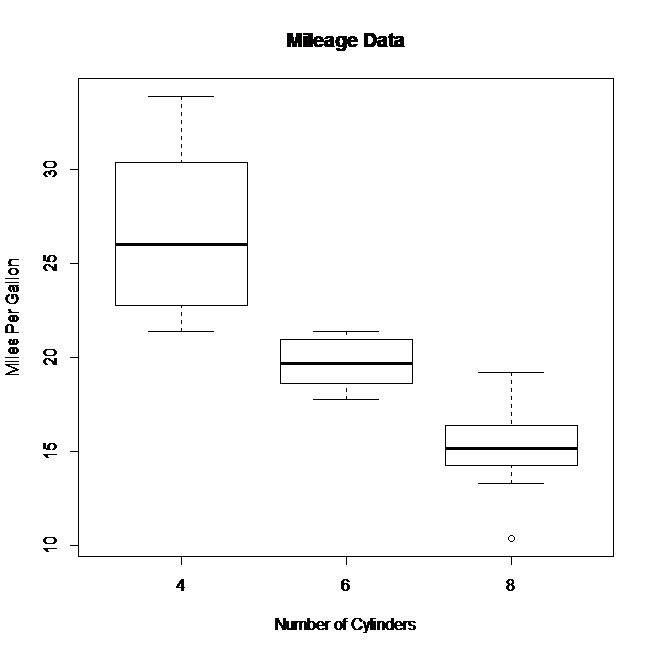 This graph represents the minimum, maximum, median, first quartile and third quartile in the data set. It is also useful in comparing the distribution of data across data sets by drawing boxplots. 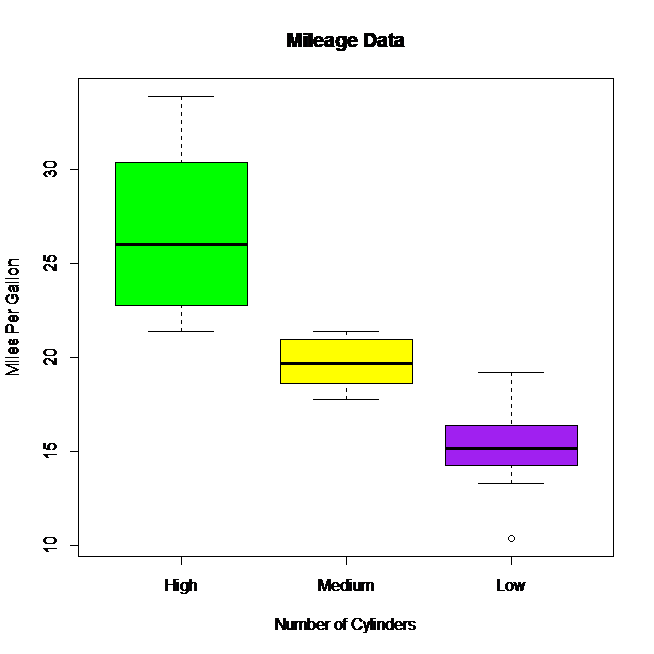 R Boxplot is created by using the boxplot() function. x is a vector or a formula. data is the data frame. notch is a logical value. Set as TRUE to draw a notch. varwidth is a logical value. Set as true to draw width of the box proportionate to the sample size. names are the group labels which will be printed under each boxplot. main is used to give a title to the graph. The below script will create a boxplot graph for the relation between mpg(miles per gallon) and cyl (number of cylinders) from the well known mtcars data set. We can draw boxplot with notch to find out how the medians of different data groups match with each other. The below script will create a boxplot graph with notch for each of the data group.